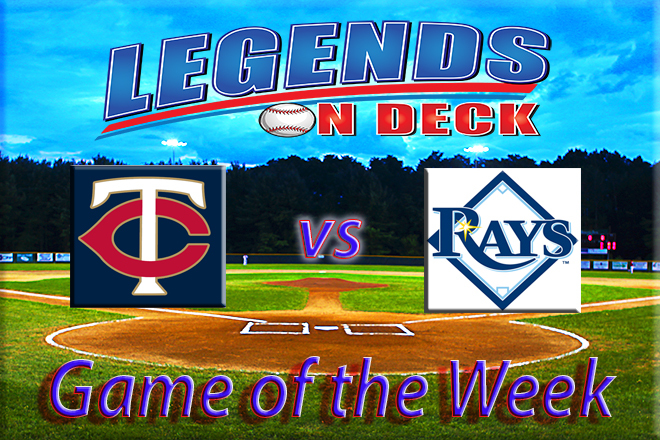 This week’s edition of the “Game of the Week” heads to Florida as the Tampa Bay Rays host the Minnesota Twins at Tropicana Field starting on Friday night. Both teams are currently at the wrong end of their respective divisions, the Rays with a 44-63 record and in last place of the American League East- seventeen and a half games back and the Twins with a 43-65 record in last place of the American League Central-nineteen games back. With any post-season dreams currently dashed what both teams need to do the rest of the season is gain momentum. Now is the time to experiment with different lineups, pitching staffs and promote the young talent in the minors to find out what works best in hopes of starting the 2017 season off on the right foot. RHP Ervin Santana (3.66, 4-9) In his last start against the Chicago White Sox, Santana allowed one earned run-three total on six hits in six innings of work. Santana was charged with the loss but has been solid with an ERA under 2 in his last eight starts; making him one of the best pitchers in baseball right now. LHP Blake Snell (3.08, 3-4) The young lefty has been a key to the Rays’ rotation since returning from Triple-A Durham in July. In his most recent start on Sunday afternoon against the New York Yankees, Snell pitched five and one-third innings allowing two runs and led the Rays to the series’ sweep. Outfielder Max Kepler has been the key to the Twins’ recent success against teams like the AL leading Cleveland Indians just this week. In the last seven games, the twenty-three year old Kepler has hit .417 in 24 at-bats with four homers, 10 RBIs and nine runs scored. Brian Dozier is also on a hot streak as he is hitting .394 with five homers and 9 RBIs in the last seven games. The Rays’ have been led offensively by Brad Miller lately. Most recently he hit the game winning homer on Thursday afternoon at home against the Kansas City Royals and has hit .321 in the last week with a total of four homers, 6 RBIs and eight runs scored.